Static wallpapers are boring. There’s little doubt that as screen resolutions have improved and panel quality has increased the need for better, more interesting wallpapers has grown. Thankfully there are plenty of websites that cater to those that appreciate a good wallpaper, and that’s great. But they’re still wallpapers at the end of the day, and they’re most certainly far too static for our liking. So when we were reminded that it is indeed possible to have a Windows screensaver as a wallpaper, our collective eyes widened. True, it’s nothing new thanks to the fact that the trick of having a screensaver as a wallpaper has been around for some years, but we’d forgotten all about it and, we’re willing to guess, so have you. It’s really so simple that everyone should be at least giving it a try. 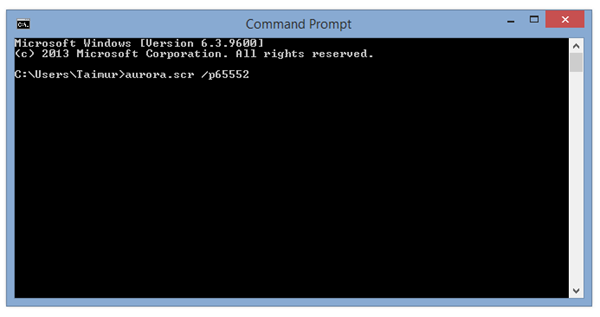 Simply open Command Prompt window. Type the name of the screensaver that you want to run. An example would be aurora.scr, but it can obviously be whatever screensaver you so desire. Follow that screensaver filename with /p65552 and hit Enter, as shown in the screenshot below. 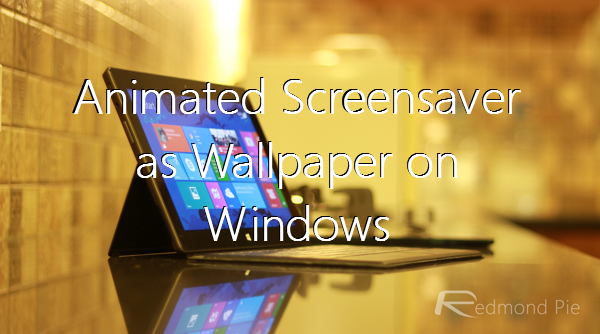 Shortly after releasing that Enter key you should see your favorite screensaver running on your Windows Desktop. Magical, we’re sure you’ll agree. Now the beauty of this is that it should work with Windows 8, Windows 7 and even Windows Vista for those that are unfortunate enough to still be using it. The bad news is that you may find that you can’t interact with your Desktop while the screensaver is running. If that’s the case, you can kill it anytime from the Task Manager. Once done, you should have your old wallpaper back after that. This little bit of fun is admittedly not going to change the way you work or play, but it should at least make that working thing a little more entertaining.